Today's successful B2B marketing strategies focus on understanding the customer and using digital marketing to identify and convert leads. B2B customers are getting more sophisticated and don't want to be "sold to." They want to gather the information that is most critical to them, and then make an informed decision. These five tips will help you create a B2B marketing strategy that works in today's market. Everyone thinks they know who their customer is, but then find that when they try to write down their "customer persona," either they don't have enough information, or they can't agree on their most important characteristics. After you've identified customer personas, document the customer's journey through your sales process. Determine how well your sales funnel works to move a prospect through stages such as becoming aware of your company, considering your product or service and making a decision to buy. If you're having problems, conduct some customer and prospect interviews to get real-world insight. Effective marketing strategies aren't created in a vacuum. Both departments need to participate in defining the market. After that, there should be free communication between the two departments. For example, sales may identify a question that prospects ask frequently. Sales can pass that information on to allow marketing to refine the customer journey, resulting in creating content that addresses that issue. Websites can be very effective in helping a prospect turn into a customer. When your website is easy to use and leads a prospect through the customer journey effectively, it's not just a billboard, it's a marketing tool. Of course, if you need a little help updating your website to make it into a more effective marketing tool, Electric Enjin has the abilities to make this a reality! 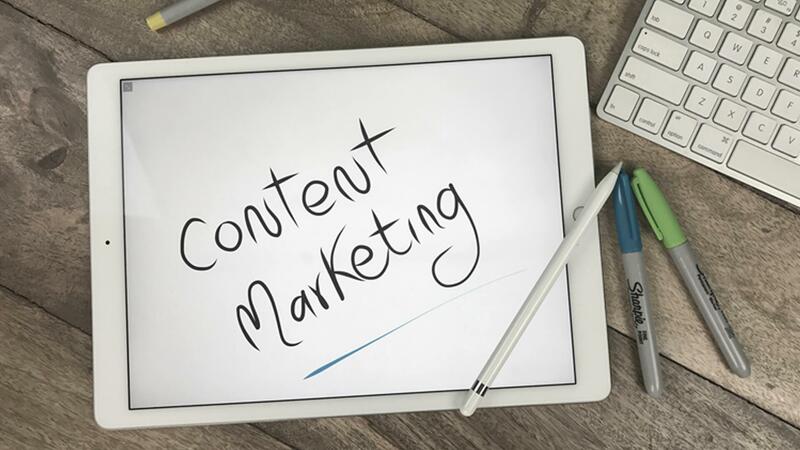 Content marketing is the vehicle by which you give your prospects the information they're looking for. Create content that addresses all the questions your customers have at each stage of their journey. However, keep the plan flexible so that you can respond easily to new issues that arise. Done properly, your social media activity can reinforce your brand message, engage your audience and keep you top of mind with your prospects and customers. B2B marketing is changing, in part due to new technology. Another important factor is the changing demographic of B2B decision-makers. There are now more tech-savvy millennials than there are baby boomers, and they're moving into decision-making roles. Regular reviews to understand your customer, as well as an emphasis on digital marketing, will both be part of successful marketing strategies for the foreseeable future.